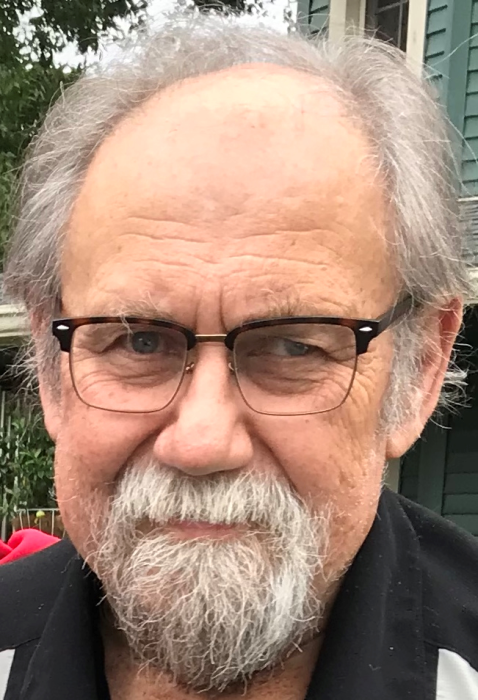 Mr. Eugene David Johnson, 71, of Braddock Heights, MD died Friday, April 5, 2019, at Frederick Memorial Hospital after a two-year battle with cancer and a weakened heart. He is survived by Rolaine Fries Johnson, his wife of 48 years. Born May 29, 1947, in Vestal, NY, he was the son of the late John and Frances Johnson of Vestal, NY. He is also survived by his sister and brother-in-law Virginia and Leonard Rezmierski (Ann Arbor, MI) and his late brother-in-law Warren Fries (Middletown, MD); nieces Silver Fries (Mustang, OK), Vanessa Fries (Dibble, OK), and Sara Boivin (Grand Rapids, MI); nephews Dustin Fries (and wife Emily, Choctaw, OK) and Ryan Rezmierski (and wife Kati, Ann Arbor, MI); eight grand-nieces and grand-nephews; and several cousins. Gene graduated from Vestal Central High School and Broome Technical Community College (NY) with an AA in Liberal Arts & Sciences. He received a BS in Physiology and Anatomy from Cornell University; an MPH in Infectious Disease Epidemiology from Yale University; and a PhD in Immunovirology from The Johns Hopkins University, completing post-doctoral research at the National Institutes of Health. For decades, he served his country with distinction stateside and abroad as a civilian scientist and field researcher in biodefense solutions with the U.S. Army Medical Research Institute of Infectious Diseases and the Central Intelligence Agency. As a virologist specializing in hemorrhagic fever viruses, he coordinated the first efforts to identify the vector for Marburg virus in Kitum cave, Kenya. He was a leading authority on the Ebola virus and played a role in the joint Centers for Disease Control and Prevention/USAMRIID containment of the 1989 Reston Ebola outbreak near Washington, DC as recounted in The Hot Zone by Richard Preston. Gene was a deeply sensitive and private man. He had a quick wit, a flair for storytelling, and a love of teasing. He appreciated the intricacies and beauty of nature, everything about the outdoors, and learning from all people. His intellectual pursuits were diverse and deep. Gene was a loving husband, son, brother, nephew, uncle, and a loyal friend. His humor, love, and many yet untold stories will be greatly missed. A memorial service will be held at 11 a.m., Saturday, May 25, at the Vestal Center United Methodist Church, Vestal, NY. Following the service, family and friends are invited to the church hall for a time of celebration of Gene’s life. Donations in Gene’s memory may be made to the Vestal Center United Methodist Church, 478 West Hill Rd., Vestal, NY 13850. Arrangements were made by J.L. Davis Funeral Home, Smithsburg, MD, and online condolences may be offered at www.jldavisfh.com.